Deacon Bob Prue joined Haskell LIGHT Campus Ministry in 2017 as a ministry leader. Bob and his wife Deon are reaching out to students and the community at Haskell Indian Nations University in Lawrence. One special area of emphasis for Bob is assisting students with recovery from historical trauma. Congregations and agencies in various cities in Kansas are involved in outreach to the Hispanic community, offering special worship services, Bible studies, ESL instruction and materials in Spanish. Several congregations in Kansas City and Wichita offer Spanish-language worship services. For more information, contact Rev. Dan Galchutt in the District Office. The Lutheran campus ministries at Kansas colleges and universities provide a “church home away from home” for students. Keeping the faith in college isn’t always easy. Spiritual life can become a low priority in the face of newfound independence, unfamiliar surroundings, competing priorities and cultural pressures. And for some students (the growing group of “nones”), spiritual life isn’t even on the radar. Our LCMS U chapters in Kansas understand these issues and are committed to providing students with the support they need, whether those students are longtime Lutherans or new to the faith. If you or someone you know is heading off to college or already there, we encourage you to look into one of the ministries listed here. 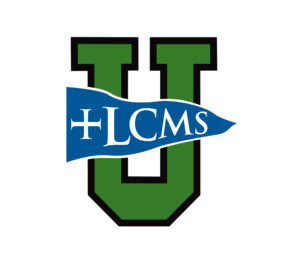 For more information and resources, check out the LCMS U page. No LCMS U chapter in your college town? Search for LCMS churches HERE. If your congregation has an LCMS U chapter in Kansas that isn’t listed here, please contact us at the District Office, and we’ll add you to this list. There are more than 3 million deaf and 28 million hard of hearing people in the United States. In Kansas, there are approximately 9,100 profoundly deaf and 108,000 hard of hearing people. About 95 percent of deaf people are not churched, which makes deaf ministry a vast mission field. Some experts say American Sign Language has become the fourth-most-common language in the United States. KansaSEED (Support, Encourage, Expand Deaf Ministry) is dedicated to planting the seed of God’s Word in the deaf community. For more information about KansaSEED, including worship services and contact names of pastors, download the brochure. The Lutheran Heritage Foundation provides FREE resources for sharing the Gospel with people who don’t speak English as a first language. To see what publications LHF offers in a particular language, click the logo above.